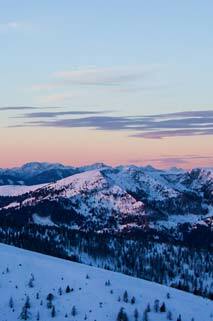 Nestled between the Alps and the Adriatic sea, the small north eastern city of Udine is a delight of eighteenth century architecture and a relaxed and prosperous cafe society. Its enchanting piazzas and their fountains are the perfect place to watch a very civilised version of Italian life flow by as you sit and cradle a coffee. As enchanting as it may be, it isn’t the only reason our party leaders enjoy a visit to this city so much. 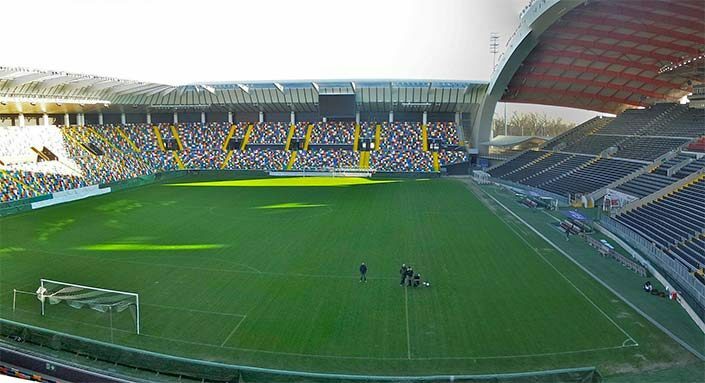 Despite its size (just over 100,000 inhabitants) Udine has, since the mid-1990’s, had its own Serie A football team. 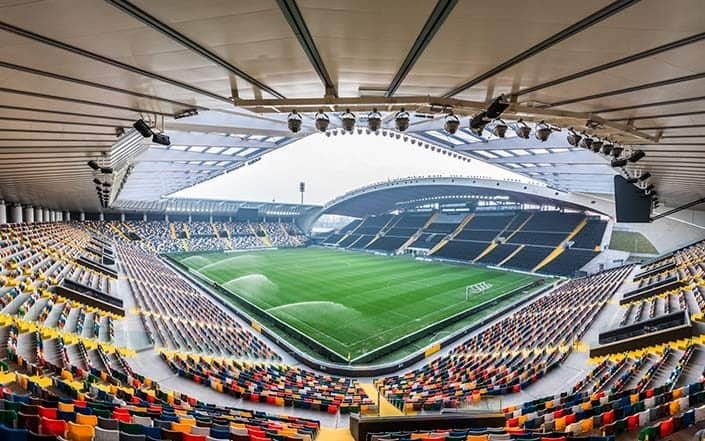 Udinese have been rubbing shoulders with Italy’s football elite ever since they won promotion out of Serie B and on eleven occasions have even competed in Europe. 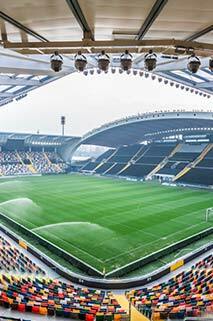 The vision of Udinese’s owners, the Pozzo family, is even recognised by its own title… the Udinese Model which targets and scouts young players that it develops and sells on. The club gave a multi-million pound revamp to the Fruili Stadium to house their team, and named it the Dacia Arena after the club sponsor. The stadium was officially opened in 2016 when the Italian team took Spain when they shared the honours with a 1-1 draw. 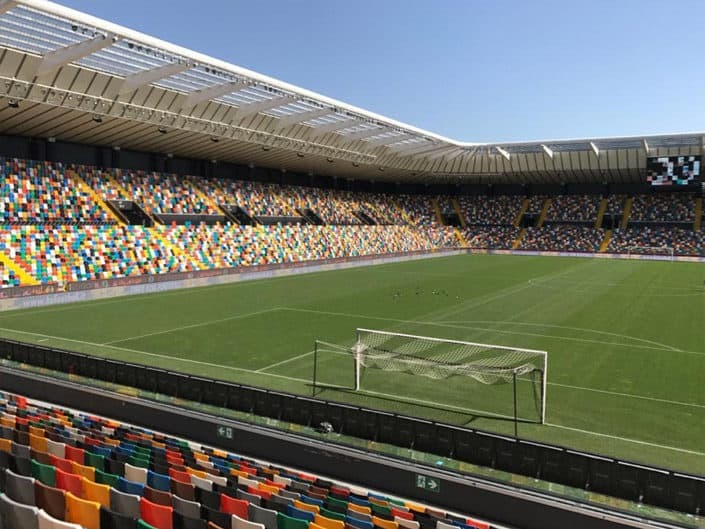 It is the Dacia Arena that Activ4 School Tours take groups who are on school sports tours to enjoy and tour the first football stadium in Italy to sell its naming rights. State of the art facilities and a desire to make the club an inclusive part of the community have led to the introduction of a stadium tour that aims to celebrate its philosophy. This was reinforced when our first school group, Junior Kings, found themselves meeting the club captain and becoming part of an impromptu press call. The Party Leader obviously enjoyed the visit and was impressed with how free members of the club were with their time whilst they were at the stadium. 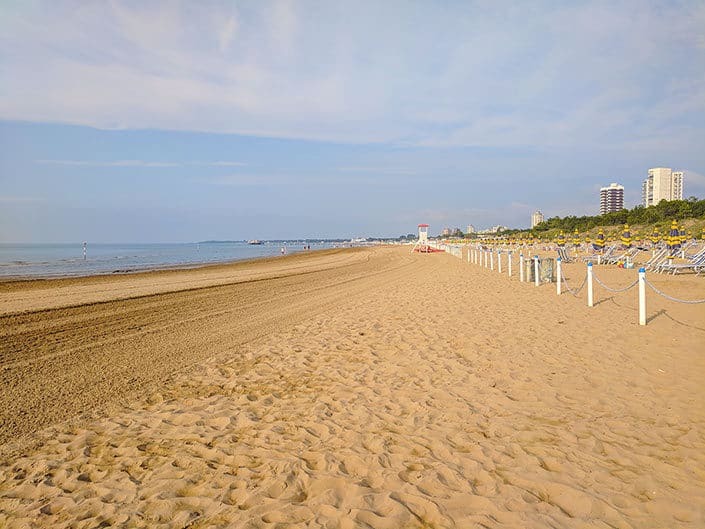 Dacia Arena tours come as an excursion option when groups take a tour to Lignano Sabiadoro either as part of Sportsfest or any of the school sports tour options in Italy. 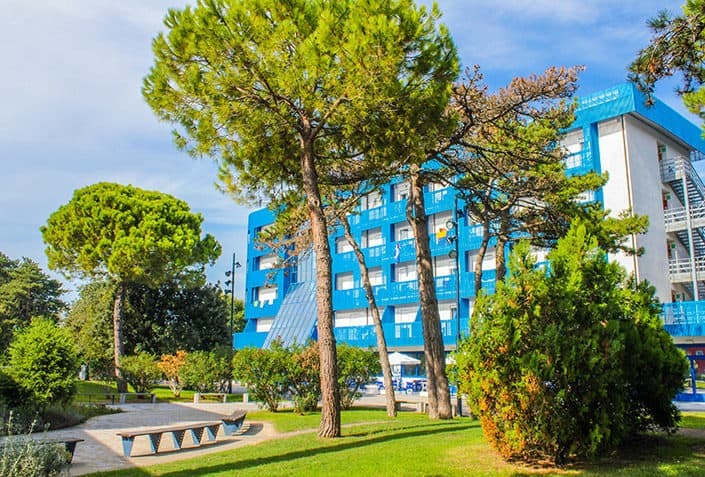 Only an hour away by coach groups include the visit during a day Udine where they get the opportunity to see the city and enjoy a little bit of Italian culture at the same time. 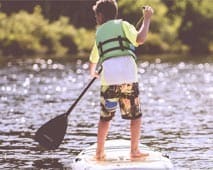 If you are considering taking your school group on a sports tour then why not give us a call and have a chat about the destinations that Activ4 School Tours can offer you? As specialists in school travel we can offer exclusive destinations that are created specifically for the needs of school sports teams when they travel.